A tropical depression formed well south of Acapulco, Mexico early Sunday morning. Tropical Depression Five-E became a named Tropical Storm by 8 AM PDT as it reached 45 MPH about 400 miles south of Acapulco. Additional strengthening is expected over the next couple days. The storm, which will likely become a hurricane appears that it will stay well offshore and as it gets into less favorable waters become sub-tropical towards the end of the week. There are no cruise ships in the immediate vicinity, but we will continue to monitor this storm. Originally built in 1542 and dedicated to the Virgin Mary, this monastery was our next stop. It has impressive architecture, whitewashed exterior and colored dome which have long charmed visitors from around the world. As we walked from our motor-coach, we could only see the bell tower rising to the sky. Even when we got closer, the bell tower and arches above the entrance still dominated the scene. Making our way inside the monastery church, we light a small candle, getting the flame from one that was already burning. This gesture is a way of presenting your petitions to God. The church is only large enough for one or two small groups to enter at a time. The cruise line made special arrangements for us to be able to visit. It is obvious that some restoration is in progress as evidenced by areas that were covered in plastic sheets and blocked by wooden barriers. Consequently it was more difficult to navigate through the small church, necessitating a horseshoe shaped traffic flow in one direction. Perhaps that was actually a blessing as it controlled our movements, making sure that the exquisite artwork was not overlooked. In the interior of the church, we can see an impressive wooden iconostasis (altar screen) made in 1775 by Florentine artists. The screen is decorated with green, red and golden flowers. There are icons of apostles and saints on the iconostasis as well as scenes from the New Testament. The hanging incense holders are decorated with silver dragons having red eggs in their mouth, which show the Eastern influence. Once again, words cannot adequately describe the beauty before us in this tiny little church within the monastery. We have shared several of our images on our Facebook Fan Page in the Panagia Tourliani Monastery Album. Following our visit to the church, we continued our tour of the exterior grounds of the monastery, ending up in the town square where shops and busy cafes were found. We walked through the farmer's market en route to the motor-coach. The small parking area was completely filled this Sunday morning with cars and motor-coaches. In fact, several motor-coaches were lined up in a row. Traffic was coming from all directions and the drivers of the cars didn't want to wait for us to get out of their way and tried to figure out how to get around us. Our driver certainly earned his wages navigating through this very crowded parking area. We all cheered for the driver when he was out of the snarled traffic. We will continue our virtual Mykonos journey in another post. Until then, visit our Facebook page to look at some of the pictures of our Mediterranean adventure thus far. Casting their shadows on the freshly groomed sandy beach, these thatched umbrellas stood guard over the Aegean Sea and the twin peaks of Cape Tarsanas that were hidden from our view. The beach was still pretty deserted as we approached the imposing wall of umbrellas. They would not stop us from the turquoise waters that splashed upon the sand just beyond the last row. In the still of the morning, the splashing of the Aegean Sea's waters could be heard as waves rolled onto the beach. The sea beckoned us to continue our advance. We obliged, and were rewarded with a splendid view of crystal blue waters of the Aegean Sea. On the horizon, the clear blue sky met the sea with an array of shades of blue. In the distance we could see the twin peaks of a peninsula that jutted into the sea. We would later learn its name, Cape Tarsanas, where traces of a prehistoric citadel can be found above the small twin capes. Now that we were on the beach, we captured several images of Kalafati Beach and the surrounding area. Some of our group used the restroom facilities of Taverna Thalassa or purchased refreshments from the bar which was just beyond the beach. While we just enjoyed the beauty of the beach during our brief photo stop, Kalafati Beach has become famous to wind surfers who enjoy a good offshore breeze. It is only 12km from the Port of Mykonos, where our shipped was docked, so this could easily be a day trip for those that wanted to relax on the beach or enjoy other water sports. Leaving the blue waters behind us, we boarded our motorcoach for our next stop, Panagia Tourliani Monastery. We hope you are enjoying your virtual journey to Mykonos thus far. Elation, which is currently in the middle of a five-night voyage from Mobile, departed Cozumel an hour earlier than scheduled Wednesday. Imagination, which is sailing a four-night itinerary from Miami, traded a call on Cozumel for a sea day Wednesday, and today it will trade a scheduled sea day for a stop at Freeport. Early Wednesday morning on July 27, we began monitoring a thunderstorm area 50 miles northeast of Cancun. Conditions appeared to be favorable for it to become a tropical depression within 24 hours. At 4 PM CDT, NHC issued its first advisory for Tropical Storm Don after a hurricane hunter aircraft flew through the storm and measured winds at around 40 MPH. This becomes the fourth named storm of the 2011 Atlantic Hurricane Season. On the forecast track, the center of TS Don should move through the southern and central Gulf of Mexico tonight and Thursday, approaching the coast of the northwestern Gulf of Mexico on Friday. Some strengthening is predicted before it makes landfall. After making landfall, the storm should lose strength and become a remnant by Sunday. Thanks to its proximity to the mainland, Mykonos was one of the first Greek islands to become an international travel destination. During the late '60s and early '70s, it was famed as a haunt for the rich. The island's nightlife is a glittering whirl of colored lights, music, and parties. But what is Mykonos like when the sun is out? Come explore with us as we visit this beautiful island in the Greek Isles. Our motorcoach departs the Port of Mykonos where our ship, Star Princess, is anchored. We begin a scenic drive through the rocky countryside en route to a photo stop along the coast in the town of Agios Ioannis. Here we explore a quaint little countryside church before continuing our journey to Kalafatis Beach, one of the most beautiful sandy beaches in Greece. One of the earliest established beaches, this beautiful bay and long sweeping Kalafati beach has become famous to wind surfers who enjoy a good offshore breeze. Rows of thatched umbrellas stand guard between us and the turquoise Aegean Sea, but we cannot be denied our romp in the sea. Kalafati Beach is home to soft sand, crystalline blue waters, and an amazing view of Cape Tarsanas where traces of a prehistoric citadel are preserved. Panagia Tourliani Monastery, originally built in 1542 and dedicated to the Virgin Mary, was our next stop. It has impressive architecture, whitewashed exterior and a colored dome which has long charmed visitors from around the world. In the interior of the church, we see an impressive wooden iconostasis (altar screen) made in 1775 by Florentine artists. Mykonos town features hip boutiques, restaurants, jewelry stores, souvenirs, taverns and cafés. The island's famed windmills are found just south of the waterfront. Mykonos is a picturesque town with a labyrinth-like maze of tiny streets, white houses and red-roofed churches. Our guide led us on a walking tour through the narrow, winding streets introducing us to some of the area's most treasured landmarks before giving us time to explore on our own before returning to the ship. Words cannot do justice to this picturesque town and surrounding area. So we have captured our memories on digital media cards and copied some of those images to our Facebook Fan page. 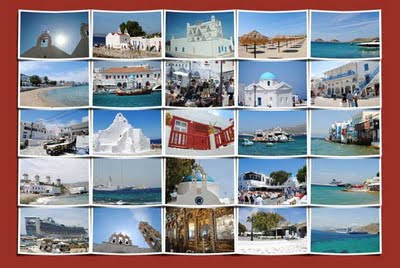 We invite you to visit our page and "like" us so that you will be notified as we post more photos and continue our story of this 12-Night Greek Isles & Mediterranean Cruise adventure. 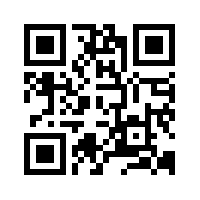 The links above will take you to our photo albums. 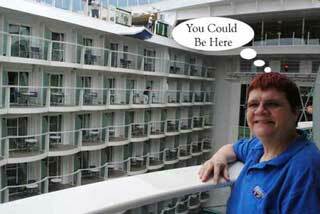 Come back to visit our blog as we continue our cruise stories ... we will look at each of the above in detail. Those of you who follow our blog on a regular basis already know that when bad weather strikes, we are here to bring you updates. This is a service to our readers to assist them in staying safe and also to rearrange their plans in the event a hurricane or other severe weather impacts their cruise plans. Unlike the tornado hunters and hurricane hunters who put themselves in harms way, we "hunt" the storms from the comfort of our computer chair in our office. Several government agencies, such as the NHC of NOAA, make this possible by providing detailed information which we then share with you. We realized that since we have been reporting on these tropical storms since 2009, it is quite possible that if you did a search on our blog (or in your favorite search engine such as google.com) you might come across an older blog post and get discouraged. Therefore, we have added a static tab, Hurricane Zone, which will be visible on every page in our blog. All you need to do to find what you want is to bookmark our blog and then click on the new tab. If you happen to search, we have also updated the past blog posts with a link to Hurricane Zone. The top portion of the page has a table of this year's Atlantic and East Pacific tropical storms to date. The name of the storm, a link to the blog post, and other links (such as to the storm archives) are included in this table. Below the current storms, is a link to the hurricane section on our static Weather tab and a double combo box which allows you to very easily navigate to past storms and other useful information such as Hurricane Season Predictions, and Hurricane Preparedness. 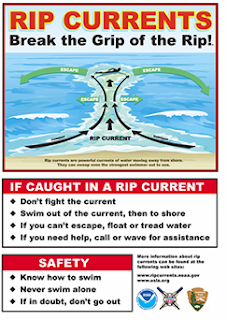 We hope that this helps make finding tropical storm / hurricane information much easier on our blog. We try to keep the information as current as our busy schedule allows. Even when we don't post updates, the links will take you to NHC's latest updates. We also have RSS feeds on our page so that you can click on those links if you want the information directly from that source. Let us know if these changes are useful and we welcome any other ideas you might have for additional improvements. 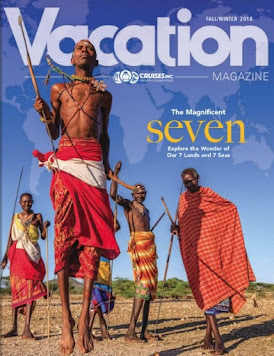 Between this blog, our Facebook Fan Page, and our website, we want to be your one source for information about the cruise industry and anything that might impact your cruise vacation. Celebrity SilhouetteSM joins her sisters, Celebrity Solstice, Celebrity Equinox, and Celebrity Eclipse as another success story for shipbuilder MEYER WERFT. The new122,000 gross ton Celebrity SilhouetteSM was delivered on schedule to Celebrity Cruises (Miami, USA) in the Dutch port of Eemshaven. The shipyard in Papenburg, should be quite proud of this accomplishment. Celebrity SilhouetteSM is the fourth ship out of a series of five cruise ships the shipyard in Papenburg is building for Celebrity Cruises. 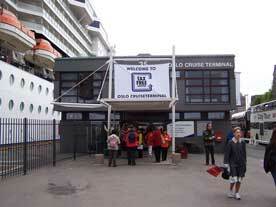 The series began with the delivery of Celebrity Solstice in October, 2008. The second ship, Celebrity Equinox, was delivered in July, 2009 followed by the Celebrity Eclipse in April, 2010. Meyer Werft has been building ships for Celebrity Cruises since 1995. The Solstice® Class ships have a total length of 315 meters, which is almost three times as long as a soccer ground, making them the biggest ships built to date for Celebrity Cruises. MEYER WERFT and Celebrity Cruises have developed and built another extremely eco-friendly ship. Highly energy-efficient systems, a solar power system, optimised hydrodynamics, a very efficient underwater hull coating and an energy-saving lighting system using LEDs cut back the ship's energy demand considerably. 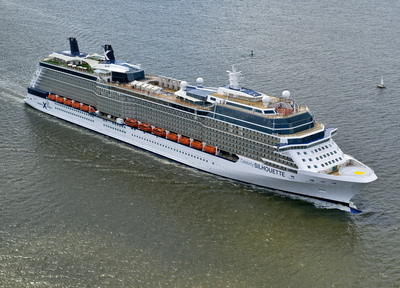 The Celebrity Silhouette can accommodate 2,886 passengers, who are taken care of by a crew of 1,271. Following her naming ceremony in Hamburg on 21 July 2011, she began her maiden voyage to Barcelona via Civitavecchia/Rome on 23 July 2011. Now that Celebrity SilhouetteSM has joined the Celebrity Cruises fleet, you have another outstanding option for cruising Europe and the Caribbean. She's impressive, with all the best-loved Solstice® Class features - and some new ones. We will take a closer look at some of the new features in future posts. We had a wonderful day in Santorini, Greece. Our day began with a visit to a winery, SantoWines Santorini Greece, which provided breathtaking views of the Aegean Sea and our ship, Star Princess, anchored below. 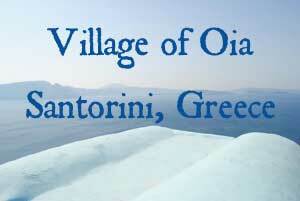 From there, we went to the Village of Oia, Santorini Greece for a partially guided walking tour. Pronounced "Eee-ah," the village of Oia is perched high atop the cliffs of Santorini's northern terminus. Known for its quiet beauty and spectacular sunsets, this spot boasts superlative views of neighboring volcanoes. Continuing Santorini Exploration in Fira we strolled through the narrow lanes of Fira, passing white-washed buildings with splashes of color all around us, doorways that opened to the sea and framed our ship anchored below in the Aegean Sea, and finally returning to our ship after descending from the cliff in the cable car. We've been fortunate to see many sunsets at sea over the 30 years we have been cruising. When conditions are right, Mother Nature saves something special for this grand finale. Photographers will tell you that sunset and sunrise are the best times to take photographs due to the magical light conditions. Still anchored in Santorini when the sun began to set, our vantage point to observe was in the middle of the Aegean Sea. On Oia, many of the locals gravitate to the castle to view the setting sun while others take to the water for a front row seat. All we needed to do was go out on deck for our front row seats to this spectacular light show. The Santorini sky was painted with shades of yellow and orange which changed to deep red as the sun sank lower on the horizon. Just before dipping into the sea, the sun was divided into layers of yellows, orange, and red taking on a surreal look. This was by far one of the best sunsets we'd ever observed. A blast in Oslo, Norway today has torn through a government building housing the Norwegian prime minister's office, blowing out most of the windows according to a Reuters report. It has been reported that at least two people are dead with several trapped and injured at the scene. In a second incident near Oslo, a gunman, disguised as a policeman, killed at least 80 people at an island youth camp northwest of Oslo. He lured the victims to gather around and then shot them twice to be sure they were dead according to survivors. The Prime Minister was to speak at the camp, which is organized by the ruling Labor Party, on Saturday. The Norwegian gunman, who is believed to have been involved in both incidents, was taken into custody at the camp when police arrived in response to calls from the youths. UPDATE: Sunday, July 24th: It is confirmed that both events were the work of one Norwegian man who took the lives of at least 93 people. He leaves behind a 1,500-page manifesto which borrowed passages from the Unibomber and others. He will get his day in court, but will be denied the public platform he desired. As reported in our original post, MSC Orchestra was in port at the time and departed safely with all passengers on board as scheduled. According to the Oslo Port Authority website, there are two ships in Oslo, Norway today: Costa Atlantica (which should have already departed) and MSC Orchestra (which should have still been in port at the time of the blast). Costa Magica is due into port on Saturday with several other ships calling there in the next seven days. Oslo is one of many ports of call on a typical Baltic cruise vacation. 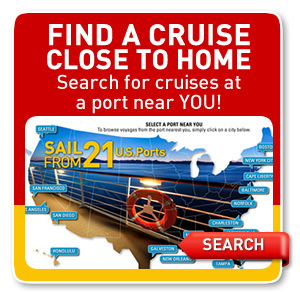 It is an easy city to tour on your own with a local hop-on-hop-off bus stopping right at the cruise terminal. City Tours offers a tour route, that for the cost of approximately $20, included several of the popular sights such as Akershus Castle, the Vigeland Sculpture Park and the Viking Ship Museum. Details are still coming in on the blast that occurred today. Early reports indicate that the Prime Minister was not injured during the blast. So far, no one has claimed responsibility for the explosion, so it is too early to say whether this was a terrorist attack or not. Costa Magica was scheduled to call in Oslo on Saturday, but the cruise line said that the ship will visit Kristiansand instead. Costa plans to resume calls to Oslo as scheduled next week. Costa, Seabourn, MSC, Princess, and Celebrity all have ships scheduled to call in Oslo, Norway during the next seven days or so. We will monitor this story to see if there is any additional impact on scheduled port calls. Our thoughts go out to the people of Norway. It is such a lovely area which normally is peaceful. Summer time is the prime time for tourism, so this could be a very negative impact on their economy. The village of Fira, the capital of Santorini, is known for its striking mix of Cycladic and Venetian architecture. The main square of Fira is "Plateia Theotokopoulou," a colorful meeting place. From here, one can easily walk to shops, jewelry stores and tavernas. From here we could see our ship, Star Princess, anchored below in the Aegean Sea. Fira is perched on the edge of an impressive cliff 260m high and offers a great panorama over the submerged volcano. It is made of many white painted houses in stepped streets with blue domed churches and sun-bathed verandas. The Orthodox Metropolitan Cathedral is the first sight you see when entering the town of Fira. The cathedral was built in 1827 and then rebuilt after the terrible earthquake of 1956. It is quite a striking building with rolling arches forming a courtyard. The arched design is mirrored in the impressive belltower above. The design is quite different from the churches we had seen in the village of Oia in the morning. From the church we continued our stroll through the narrow lanes of Fira, passing white-washed buildings with splashes of color all around us. Doorways open to the sea and frame our ship anchored below in the Aegean Sea. Cafes hang over the cliff which offer their guests views of the volcano, the sea, and the rest of the village perched on the side of the steep cliff. The views from Fira are amazing. There are two different tender points in Santorini. One is for passengers on ship-sponsored shore excursions and the other is for independent guests. Since we were on a Princess shore excursion, our motorcoach took us from our tender point to the winery, then Oia, and finally to Fira. 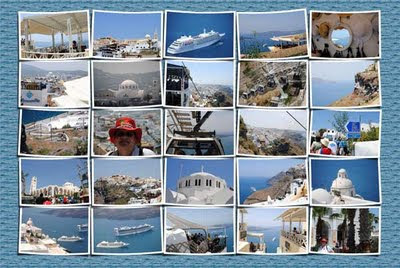 In Fira, we were on our own to explore at our leisure and return to the ship whenever we wanted to. Once we were done, we needed to make our way back to the second tender point for return to the ship. 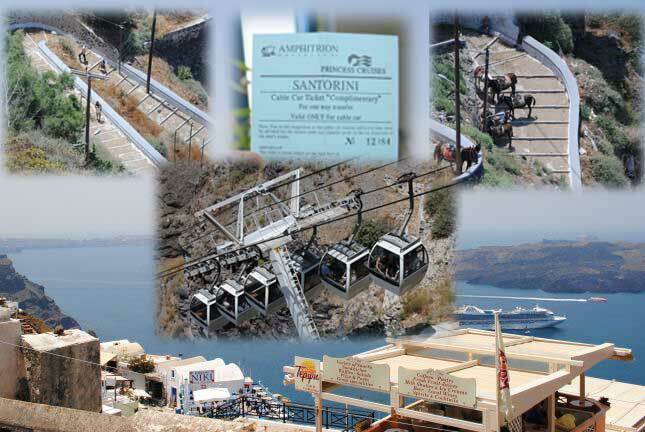 There are three options for getting between the tender boats and the town of Fira located on top of the cliff. As you can see in the photo, some people decided to walk. This is several hundred steps, so unless you are in good shape, and don't mind the walk, this wouldn't be your best choice. Another option is by mule. This is easier than walking but could be a little bumpy and smelly. The final option is the cable car, which was complimentary for us since we were on a shore excursion. The mule and cable car rides are the same for either one-way or round trip rides. The cost currently is 3.5€ each way. We explored the many shops and cafes on Fira and made our way to the cable car point. We could have stayed there all day, just relaxing and looking out to sea, and enjoying the ever changing views. 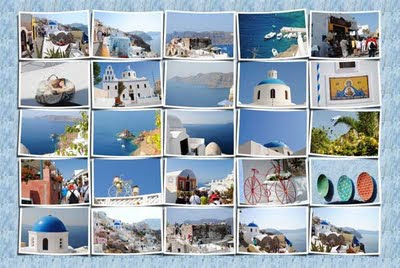 Words just don't do justice to the scenery, so view our photo album, Village of Fira, on our Facebook Fan Page. Entering our tender boat and sailing back to the ship, we had entered the live postcard of Santorini, Greece from a different perspective. Once back onboard the ship, we would continue capturing postcard images of the entire island and surrounding area. Santorini is a must see destination in the Mediterranean. 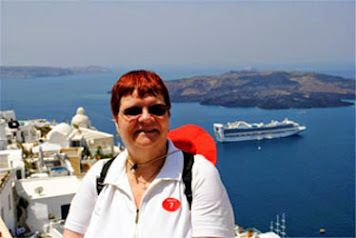 After concluding our visit at SantoWines Winery, we reboarded our motorcoach for the scenic ride to the Village of Oia. View our photo album, Drive to Oia - Santorini, to get an idea of the scenic countryside of this part of Santorini, Greece. Pronounced "Eee-ah," the village of Oia is perched high atop the cliffs of Santorini's northern terminus. Known for its quiet beauty and spectacular sunsets, this spot boasts superlative views of neighboring volcanoes. Following our guide, we strolled through the narrow, cobblestone lanes, viewed the brilliantly whitewashed buildings, shops, sun-bathed cafés and blue-domed churches. Today Oia, as an Orthodox village, has the picturesque blue domed chapels, pristine white bell towers and volcanic stone trimmed church doorways dotted all along the caldera cliffs. Each chapel is of course named after the Saint it honors and was built by a local family, many to pray for the safe return of the seafaring members of the family. There are two main churches in Oia that have a priest conducting weekly services. The Church of Panagia of Platsani is the principal church and located at the center of the village. It was built in the 1800's and maintained in perfect condition. More than 70 churches, with the characteristic blue domes, dot the countryside of Oia. The churches resulted due to the maritime life of its inhabitants. Families would build churches in order to ensure that God would favor them with safe journeys on the sea. In some cases, the parents and wives of the sailors and the captains promised to erect a church to a saint so that their beloved ones would come back safely. Upon return from a dangerous voyage, the sailors and the captains also built churches honoring a saint that had kept them safe from bad weather or other dangerous situations. Consequently, most of these churches are privately owned as they were inherited by the ancestors of each family. Family members were also buried at these churches. They are typically closed to the public except for on the Saint's Name Day when a festival is held and everyone is invited to attend. Postcards came to life as we continued our stroll through the village of Oia. We had time to explore on our own, browsing for souvenirs, enjoying refreshments and marveling at the incredible views. The natural beauty and tranquility of Oia's landscape has inspired artists from around the world, and numerous galleries can be found nearby. In the album above, which can be found on our Facebook Fan Page, we have shared some of our own postcard images captured as we continued our stroll from the center of the village, through the narrow cobblestone lanes, which lead us to the Kasteli (Castle) of Agios Nikolaos. From that vantage point you have excellent views of the volcano and all of the village. If we were still at the castle during sunset, we would be among the hordes of people that have gathered for a breathtaking view. Our view from the ship was equally impressive. We'll share the rest of our day in Santorini in additional blog posts. Be sure to bookmark this page so that you can follow the rest of our journey. Also, become a fan (like) our Facebook Fan Page so that you'll be notified of additional stories and photo albums of our 12-Night Greek Isles & Mediterranean Cruise on Star Princess. We hope you are enjoying your virtual journey thus far. Day Six - we finally arrive at our first port of call in Greece. It is a beautiful day as our ship anchors off the coast of Santorini, Greece. A catastrophic volcanic eruption that ravaged Santorini circa 1600 B.C. created a caldera - and one of the most dramatic land and seascapes in the entire Mediterranean. On Santorini, whitewashed buildings cling to vertiginous cliffs that plunge to a turquoise sea. This region is famous for world-class wines and unique vinification methods. Here you can visit some of the world's oldest vineyards and learn how the micro-climate and rich volcanic soil produces such a full-bodied bouquet. We selected Princess Cruises tour, Oia, Fira & Winery, for our day in Santorini, Greece. We met in the theater where we were then escorted to the waiting tender boat to take us ashore. Once on land, we boarded a motorcoach for a ride through the villages enroute to SantoWines Winery, our first stop. SantoWines Oenotourism center is situated on the top of the caldera cliff, with a magnificent view of Santorini volcano and the Aegean Sea. Despite the early hour, the winery was hosting tastings of several of their products. As with most tastings, there was a selection of white, red, and their dessert wines. Since we prefer sweet wines, we decided to skip the dry white and red and just sample the Vinsanto dessert wine. Vinsanto wine consists of 75% Assyrtiko and 25% Aidani grapes. The grapes are sun dried for 8 –10 days, slow fermented for 2 – 3 months, and aged for at least 24 months in oak barrels. Suggested Use: Enjoy it as a dessert wine or accompany it with fresh fruit and light dessert. This wine can only be purchased at the winery, so if you like it, take a bottle home with you. Unfortunately, you'll have to pack it in your checked luggage, so keep that in mind. Because of that reason, we decided not to purchase a bottle - hopefully we won't regret that later. Several cruise ships were forced to skip planned calls at Piraeus, the port for Athens, Monday, July 18, and again on Tuesday as striking taxi drivers blockaded the port, preventing passengers from getting to their sightseeing coaches. Reuters reported today that taxi drivers in Athens walked off the job for 24 hours in the latest protest against the Greek government's EU-driven austerity program, which protesters said would hurt only the poor. The yellow cab drivers are protesting against deregulation of their industry as part of the economic reforms demanded by Greece's international creditors. They join the ranks of the customs officials who are also on strike which is causing a shortage of gasoline at some Athens filling stations. Four ships were due in Piraeus yesterday: Royal Caribbean's Voyager of the Seas, Seabourn Odyssey, Ruby Princess and Pullmantur's Zenith. According to a report on Cruise Critic, Royal Caribbean had arranged shuttle transportation for guests in anticipation of the strike, but due to the blockade, guests were unable to disembark the ship and the passengers on Voyager of the Seas had a day at sea instead. Cruise Critic reports that Seabourn Odyssey did, however, manage to disembark and embark passengers in Athens with all guests back on board in Piraeus and the itinerary unaffected. MSC Armonia and Celebrity Solstice were due in port today. Solstice is spending the day in Crete today instead. The impact of the strike on MSC Armonia is not know at this time. Piraeus is the port city for Athens and has been Athens' port of entry for over two millennia. It is the gateway to the historic temples of the Acropolis, the famed Plaka shopping district, the scenic drive to Cape Sounion, and the stunning 5th-century B.C. Temple of Poseidon, overlooking the Aegean Sea. Timing for these industrial actions in Greece couldn't be worse, as it's the height of the cruise season, with three or more ships calling at Piraeus every day. In fact, most of the cruise lines have expanded their European presence this year in response to the increasing demand. The strike is scheduled to be over in time for Wednesday's anticipated arrival of Regent's Seven Seas Mariner and two more Royal Caribbean vessels, Splendour of the Seas and Navigator of the Seas. 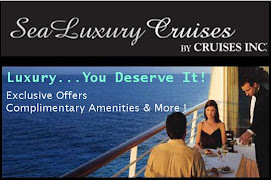 We will continue to monitor the various events in Greece that can impact cruise vacations to that nation. We have just completed our own adventure to Greece in June this year, as part of a 12-Night Greek Isles & Mediterranean Cruise on Star Princess. For the passengers that missed their port of call in Athens, we know they must be disappointed, as we would have been. We can only offer our images in future columns and on our Facebook Fan page as a substitute for the real thing. This is a very trying time for the people of Greece. We wish them well as the government tries to make changes to stabilize the economy and protect the future for generations to come. No Further Updates on this storm - see Hurricane Zone for active storms (if any). A new tropical depression, Four-E, has formed in a low pressure area south of Guatemala. As of 8 AM PDT July 18, the storm has maximum sustained winds of 35 MPH and additional strengthening is expected through the day which will result in the fourth named Tropical Storm of the East Pacific Season. When the depression reaches tropical storm status, it will be named Dora. Based on current models, the tropical storm will become a Hurricane in 24-48 hours, so we will continue to monitor this developing tropical system. SOUTHWESTERN COAST OF BAJA CALIFORNIA OVER THE NEXT DAY OR TWO. The Norwegian Pearl is sailing 7-Night Inside Passage Alaska cruises R/T Seattle, Washington, through the end of September. Next week's itinerary (July 24 departure) has an unexpected change due to some unplanned propeller repair work that needs to be performed when the ship docks in Seattle. Normally the ship would depart Seattle at 4 PM on Sunday, July 24th, cruise the inside passage on Monday, and call in Juneau, Alaska starting at 2 PM on Tuesday. Due to the repair work, the ship won't depart Seattle until Monday at noon. It will cruise the inside passage on Tuesday, skipping it's planned call in Juneau, and continuing on to its next port of call, Skayway, Alaska on Wednesday. Bill Cosby will perform two complimentary comedy shows aboard the Norwegian Pearl on July 24, during the ship's extended overnight stay in Seattle, Washington for propeller repair work. CBS show Undercover Boss featuring Norwegian Cruise Line's CEO, Kevin Sheehan, just had a repeat performance. 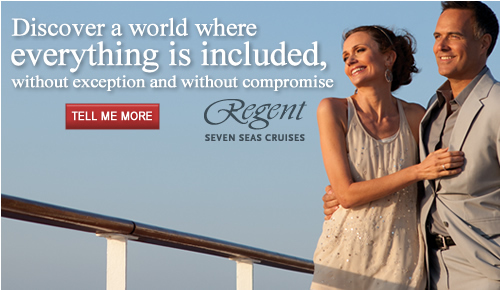 One of the tasks as CEO of this contemporary cruise line is making tough calls. Kevin had to make one this past week, but he tried to think of the passengers at the same time. "We understand that missing Juneau will cause disappointment for some of our guests, so we wanted to do something very special to make the cruise memorable," said Kevin Sheehan, Norwegian’s CEO. 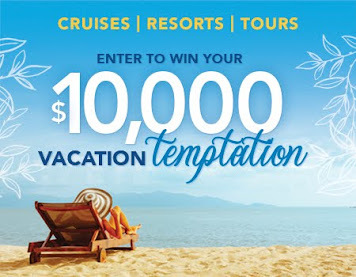 Guests also will be compensated with a $150 onboard credit per stateroom, as well as a future cruise credit of 10% of the cruise fare paid per guest. They will also receive complimentary house wine with dinner, 50% off on specialty restaurants' cover charges and the option to enjoy Seattle's nightlife. As of press time, this is the only Alaska itinerary that has been impacted by the propeller repair work. It is best that this work be performed in Seattle as a planned event, than under emergency circumstances in the middle of the cruise. We will monitor this story for any developments. Technically, the cruise lines have the right to modify the cruise itinerary, with or without notice, and with or without compensation. 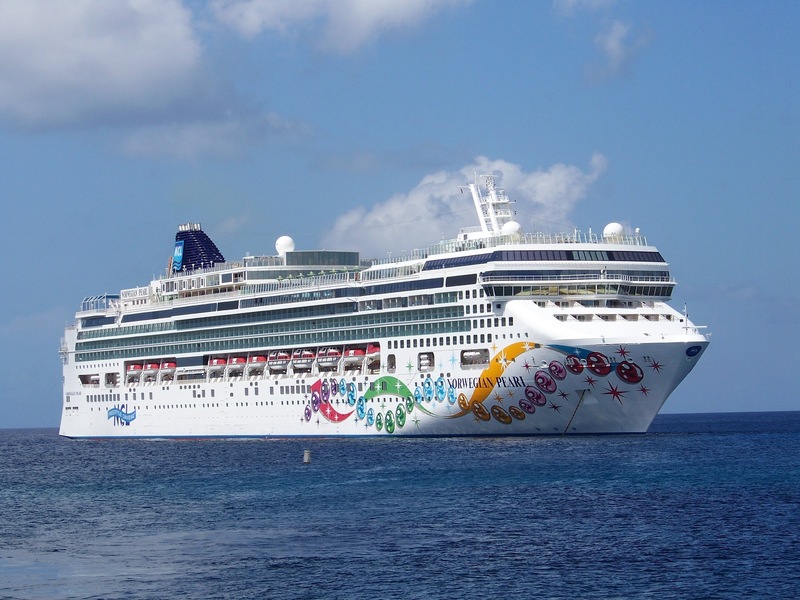 Norwegian Cruise Line made the right choice by trying to compensate for the unexpected change of itinerary. See our Facebook page article, Exploring Alaska, to learn more about cruising to Alaska.